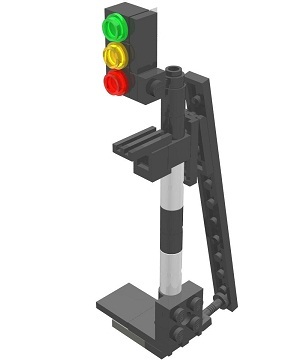 3 colour signal post based on the Dutch Railways (NS). Fits on the track ( 9V or RC). Prepared for lighning with Leds (available 2012). Order 10 for a reduced price. Some rare parts not new, but in good condition.